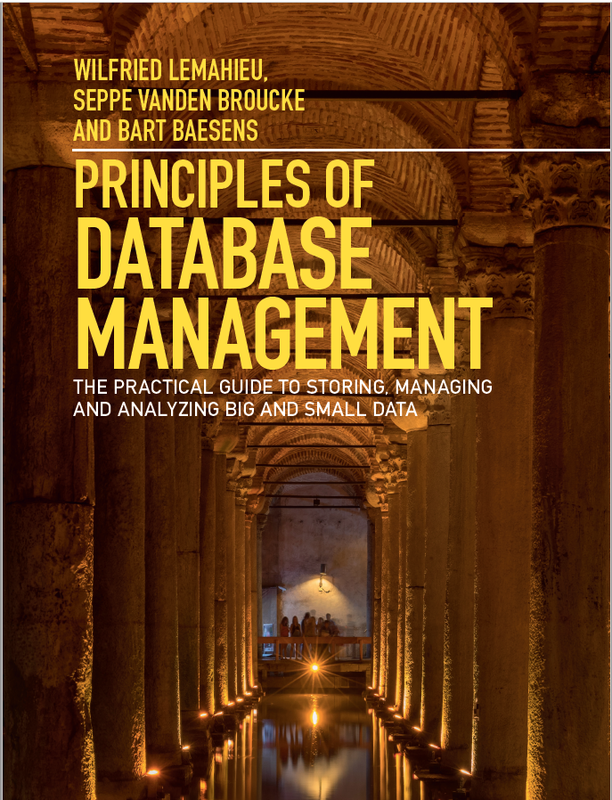 This book covers the principles of database management. It starts by defining databases and the various steps of database design. A next part zooms into different types of database systems: pre-relational, relational, object-oriented, XML and no-SQL databases. 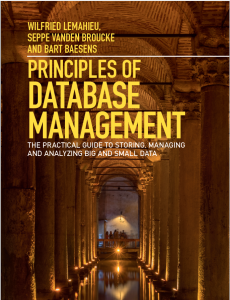 Subsequent chapters discuss transaction management and physical data storage aspects. Data access and data integration in an x-tier environment are also extensively covered. The book concludes by discussing data warehousing, big data, and analytics. Throughout the book, we will include various examples and case studies to illustrate and clarify the concepts discussed. Every chapter will conclude with a set of self-study questions such that the book can be easily used as a textbook by colleague instructors. We will also extensively report on both our research and industry experience on the topic to further illustrate the practical impact of the concepts discussed. → Read more information and access more resources over at www.pdbmbook.com! Youtube playlist of old, archived courses.